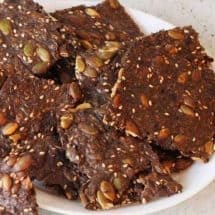 These easy keto low carb crackers with mixed seeds will satisfy your need for something easy and crunchy while you’re on a low carb diet, without a lot of work or too many ingredients. These low carb crackers are also great for anyone who needs or wants to eat a gluten-free diet as well. They’re delicious for snacking by themselves but sturdy enough for a chicken salad, or heavy dips like guacamole or my delicious Keto Salmon Cream Cheese Dip. 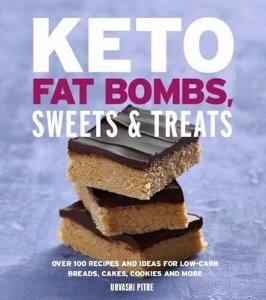 I like these low carb crackers for a Keto diet because they’re also full of fiber, which is incredibly important to include when you’re doing Keto. 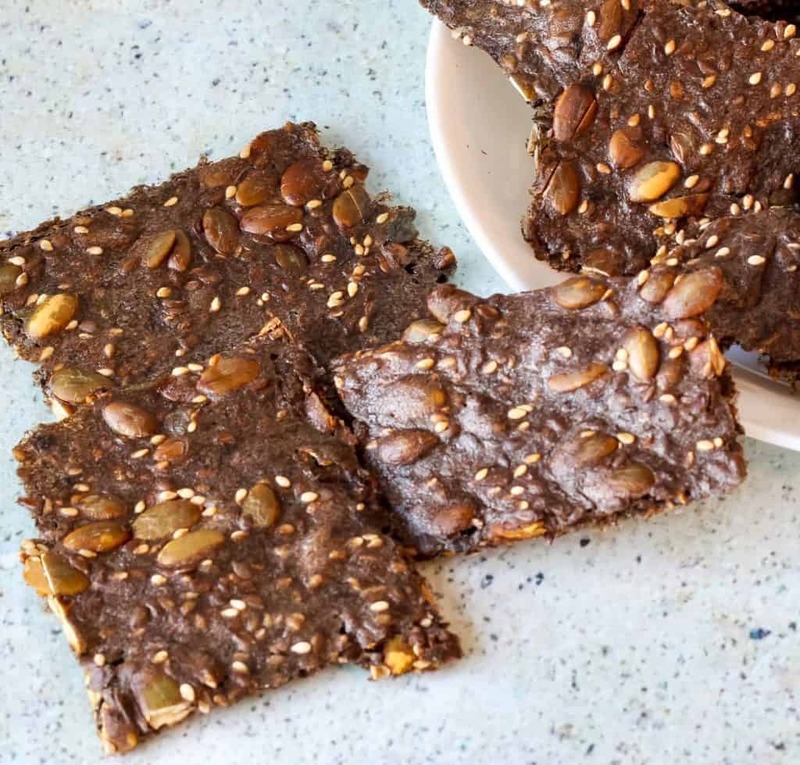 I give you the seeds I used to make this batch specifically, but you could also use whatever seeds you have on hand or prefer the taste of best. 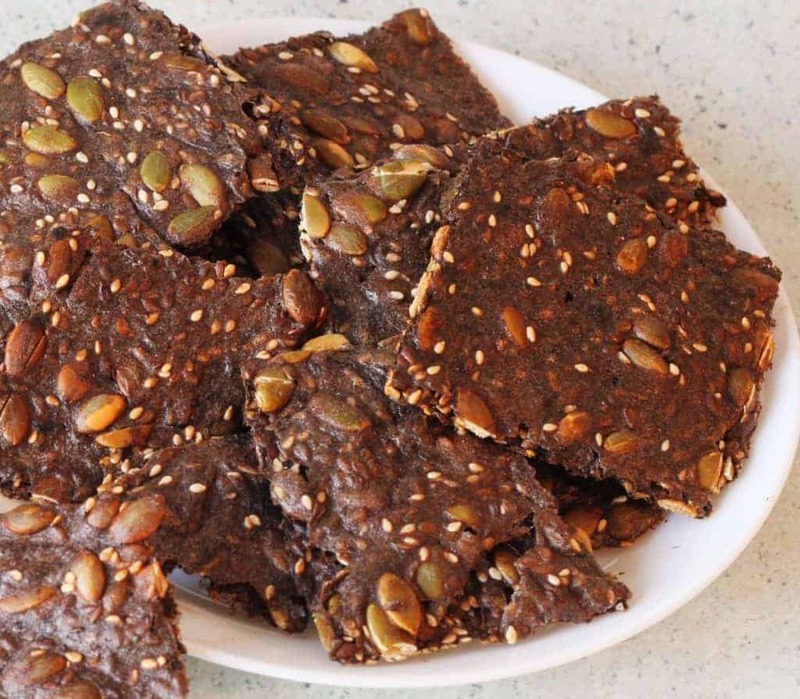 I liked mixing up the size of the seeds I used to make these and really like the consistency of the cracker. Try out a few different blends and see what you like best! These easy keto low carb crackers will satisfy your need for something easy and crunchy while you're on a low carb diet, without a lot of work or too many ingredients. Into a large mixing bowl, pour in 2 cups of tap water. When all lumps are dissolved, add salt and then the seeds, stirring well. Depending on your husk powder, you may need to add a few more seeds, but before you do that, just let it rest for about 10-15 minutes. This gives the psyllium a chance to gel. Heat oven to 350F while it is resting. Either grease well a 13 x 9 pan, or use a silicone mat to prevent the mixture from sticking. Once the mixture has gelled, spread it as thinly and evenly as you can on the mat. I found it handy to have a small bowl of water that I could dip my fingers into from time to time to reduce the sticky factor. Place in the oven and set the timer to 30 minutes. 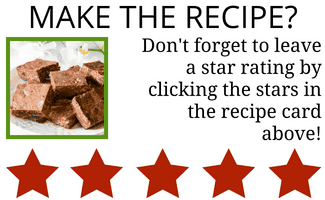 When the timer goes off, remove the pan and using a pizza cutter or a sharp knife, score the mixture into cracker shapes. I scored 4 long strips and 8 short strips for a total of 32 crackers. Put them back in the oven and set the timer for 15 minutes. Your crackers will likely take between 45 mins - 60 minutes to crisp up. Seeds burn easily so you will have to watch them after the timer goes off. You're aiming for crisp crackers but keep in mind they continue to cook a little when you get them out of the oven. Once they're done, remove and break along the scored lines. Once cooled, put them in a sealed container and enjoy! -I counted 4 crackers as a serving, out of 32 crackers. -Your macros will vary depending on what types of seeds and nuts you use. These macros use. -To calculate macros for this recipe, I used the seeds I specified but you can use whatever you like. Made the crackers tonight, and added garlic powder and fresh cracked pepper; result was crunchy and delicious! Took quite a long time to bake. I wound up flipping the entire sheet over after 60 minutes in the oven, and then rebaking for maybe 15 more minutes after I broke the big sheet into smaller pieces. I have just made them they are actually back in over for 15 mins for the full hour.Do I leave them in the oven to crisp up or do they crisp up once they come out please. They do crisp a little when they come out but make sure they’re dry when you take them out. I cooked them but they didn’t go crisp I turned them over to cook but they still did not go crisp they were soft on inside chat did I do wrong please? I read the ingredients list a couple of times , expecting to find a chocolate ingredient, but don’t see anything like chocolate. Does the rich color come from the seeds and long baking? 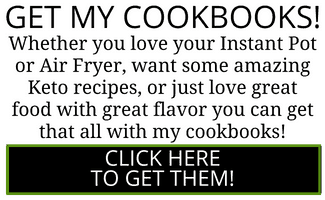 I’ve saved the recipe, nevertheless, as I do want to try them. I NEED a solution like this for getting thru my weak periods of indulgence. Thank you again, Urvashi – you rock! 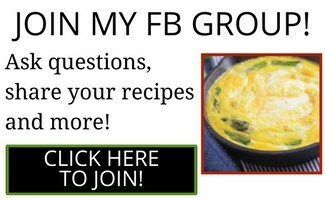 I have only just found your site I am very interested in car let’s and chicken receipes can they be printed off please. Sorry about my mistakes earlier. I have got ingredients for the psyllium seed crackers it does say on the packet that you must drink plenty of water with it, does that apply if you make crackers as I am a bit worried about it. I just made these last night and. love them. I found by trial and error, flipping them completely over after about 45 minutes and baking them another 10 minutes and then leaving them in the turned off oven I got a very crispy cracker. Could you just skip the seeds and sprinkle course salt on top?